First, you are NOT alone! It may seem like it sometimes, but not knowing how to get started with getting your brain ready for a weight loss plan for a healthy weight is far more common than you’d think. Your lack of knowledge in this area may not be your fault, but that doesn’t mean that you shouldn’t -- or can’t -- do anything to find out everything you need to know to finally be a success with understanding the psychology behind weight loss to have better health! ... and that’s not to mention the toll it’s taking on health, like the way the failed attempts over and over can impact how you understand your health in general. So today -- in the next FEW MINUTES, in fact -- we’re going to help you GET ON TRACK, and learn how you can quickly and easily get the way you think about your health under control... for GOOD! 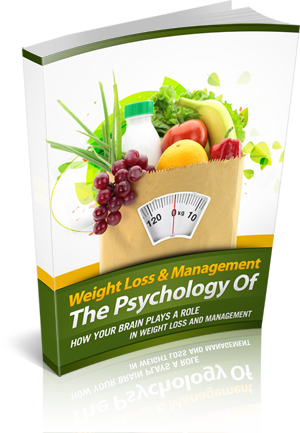 "Introducing…The Psychology Of Weight Loss And Management!" Get this... it's yours for only . This product is being sold by: kelvin with a 45 days refund period.